Are you finding yourself drowning in data? Having access to valuable data is easy, but the data by itself is of little help. What’s important is how you interpret it and the decisions you take that will make a difference in growing your business. This is why e-commerce benchmarks can be important. They are a point of reference that you can use to evaluate the performance of your business. Having an overview of the market will help you make better decisions because you will view your company’s metrics in context. With that being said, let's see which are the most important e-commerce benchmarks that you should look at. Although there is no real standard for a good conversion rate, there are some benchmarks that you can use for evaluation. 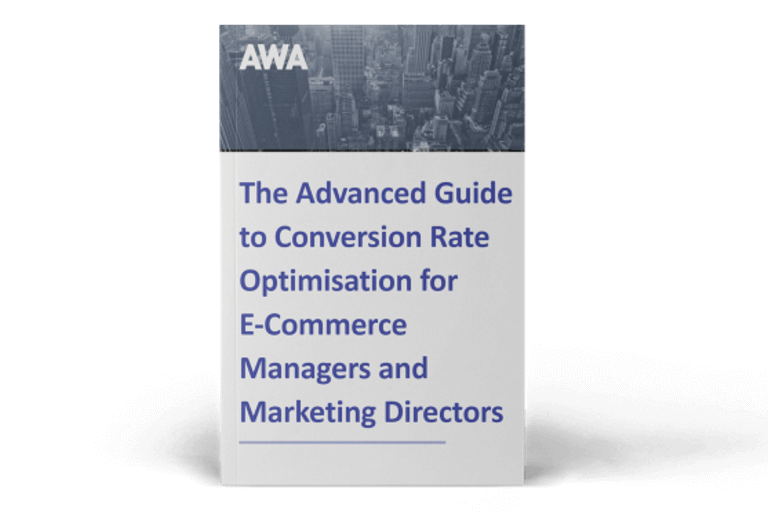 According to Wordstream, the average conversion rate is 2.35%. But, as depicted in the graph above, that doesn't mean that all businesses have a conversion rate of 2.35%, nor does it mean that this number is guaranteed. Also, bear in mind that, regardless of whether you are below or above average, there will always be room for improvement. But how seriously are companies taking that ‘room for improvement’? Well, looking at Google Trends, you can see that “Conversion Rate Optimization” is more searched than ever - so it is fair to assume that CRO is growing, and that marketers and business owners alike are now more inclined than ever to learn what Conversion Rate Optimization is, as well as how to do it. A VentureBeat study that analyzed three million U.S. websites found out that CRO-specific tools have only a minuscule 3% penetration. 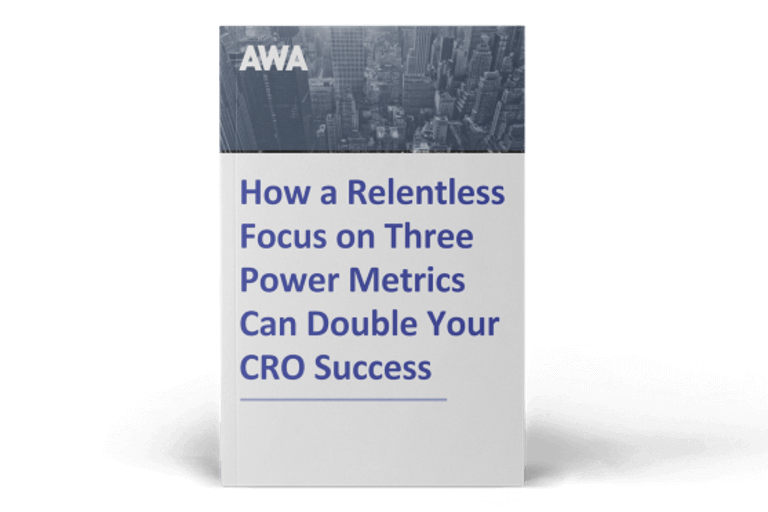 When we expand the definition to any tools marketers use for CRO, including reporting, then Google Analytics’ becomes the leader with a massive 60% market share. If we were to look at the conversion rate by device, you can see that people are twice more likely to convert when they are on a desktop device than when they are on their smartphones. That's simply because, most of the time, the user experience is better on desktop. When looking at the average conversion rate of e-commerce businesses across different product types, you can see in the graph below that those providing business services, electronics, software and video games, and publishing and entertainment related products have a substantially higher conversion rate than other categories. Whilst there is some variation between the average conversion rate mentioned at the beginning of the post, e.g. 2.35% and the data on this table, it's still useful to look at the relative difference in conversion rates between industry or product type. As a benchmark of customer behavior, the Average Order Value (AOV) helps you set goals, come up with growth strategies and evaluate those strategies. It also shows how well you engage your customers and how well you match your products with their needs. Too many times marketers focus on increasing their website's traffic when, actually, increasing the AOV is more profitable. Directing more traffic towards your website is never cheap and there's only so many new customers that you can attract. On average, 90% of e-commerce customers spend $54 per order (Source). The top 10% are spending $163 per order, 3x more per order than remaining 90% of customers. The surprise comes from the top 1% of customers, who have an AOV of $267, which means 5x more than the AOV of most of your customer base. 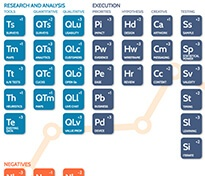 The customer journey to purchase is slowly evolving. Smartphones are often used for research purposes as payment forms and checkouts are more complicated on smaller screens. Desktop devices, on the other hand, have the advantage of a smoother payment processes and the ability to quickly bounce between tabs for research. As you can see below, e-commerce customers are increasingly mobile-centric, but big transactions are still being made on desktops. Thus, the AOV for desktop devices increased by 2.6% from 2016 to 2017 , while the AOV for smartphone increased by 5% in the same period. The surprise comes from tablets, which only experienced a increase in AOV of 1.4%, trailing both smartphones and desktop. If we were to analyze the AOV by operating system you can easily see that Apple fans spend more money online. Macintosh users have a higher AOV than Windows users (in Q4 2017,, Macintosh users spent an average of $157.44, compared to Windows users who spent an average of $144.31), while iOS users have a higher AOV than Android and Windows Phone users (iOS users spend an average of $115.47, while Android users spend about $97.49 and Windows Phone users $84.37). In an ideal world, people would complete their payment details and finalize the checkout process without getting cold feet and changing their minds. Unfortunately, we don't live in an ideal world and high cart abandonment rates are a reality. On average, e-commerce businesses lose about 25% of their potential sales during the checkout process. Mobile leads the leaderboard when it comes to cart abandonment, with 86% of all transactions ending without a sale. Desktop devices perform the best in terms of cart abandonment - only 73% of transactions fail. The conclusion is simple: the smaller the screen size, the less likely a customer is to finalize the purchase. As I said before, although the mobile traffic is increasing, people often use their phones to research, not always purchase. But cart abandonment rates vary drastically from industry to industry. In order to have a clear image of how your store is performing, you should compare your current checkout rates to other stores within your industry. As you can see, Gaming and Fashion industries experience some of the lowest rates when it comes to cart abandonment. If you are curious why your users are abandoning their carts, here are the top reasons. Last but definitely not least, you should always compare your Net Promoter Score (NPS) with other e-commerce business' in your industry. Loyal customers won't just come to you; you have to earn them. Whilst not current data, MeasuringUsability.com found in 2011 that the average Net Promoter Score was 21, with a range of -26 to +51. If you are curious where your business stands, SPG Consulting provides a rating scale in order to help marketers interpret their Net Promoter Score. What this means is that the average Net Promoter Score in 2011, was just ‘mediocre’. Let’s hope it has improved since then. If you want to measure your Net Promoter Score, have a look at Satalytics. Companies with the highest Net Promoter Scores include USAA (82%), Homebanc (82%), Harley-Davidson (81%), Costco Wholesale (79%), Amazon (73%), eBay (71%), and SAS (66%). If we were to analyse the NPS across different industries, you can see in the figure below that banks and credit card issuers have the widest range of scores. Clearly some financial institutions are doing a great job for those customers, while others in the same industry are failing to generate large numbers of raving fans. A high Net Promoter Score is also associated with a high Customer Satisfaction Index. That's because, most of the time, a happy and satisfied customer will tell about his experience to others. If you are a global e-commerce business, you should be aware of the fact that your NPS will differ from country to country. Let's look at Apple for example. While in USA and Germany, Apple has a 71 and 70 score, in UK it scores 67. In France the situation is even worse - Apple has a 57 score, with 14 points less than in USA. Benchmarks can vary depending on industry, customers and type of products. Expensive products, for instance, typically have lower than average conversion rates because people need more time to research before buying. But the number one metric is how much time you are spending on improving your conversion rate. Whatever your starting figure, it’s the effort that you put into website optimisation that will drive your business forward.